This squirrel is unlike any other squirrel I have EVER seen… he seems more than a little crazy, and when you finish watching this video, you’ll have to agree! The fluffy animal spots a bull snake and instantly ATTACKS! Usually squirrels run away from predators, but this one runs right at the snake and goes berserk! He starts biting the snake and won’t stop, even when it bites back. OMG this squirrel is a little ninja. You’ve just got to see this crazy squirrel for yourself, it’s insane… Just watch the video! 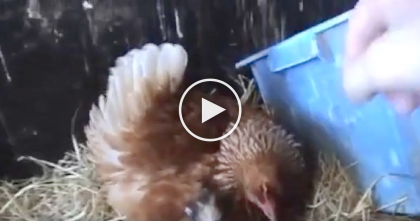 This is the craziest thing I’ve ever seen a squirrel do—SHARE this story with your friends! 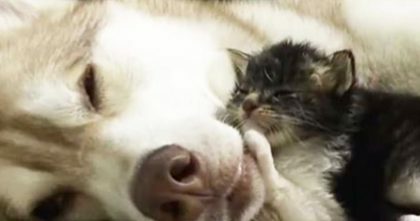 Frightened adopted kitten meets husky mama, but when you see the results… Such a beautiful story!! 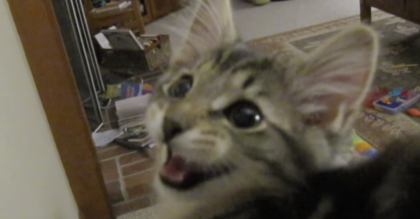 Kitty Has The Strangest Meow I’ve EVER Heard, Just Wait Till You Hear This… OMG. 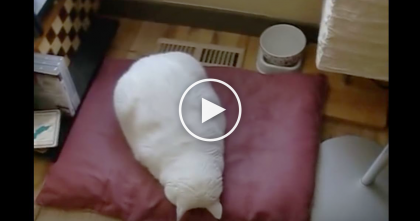 She Went To Get A Massage, But Moments Later… Just Watch Those Paws, CUTEST Thing EVER.